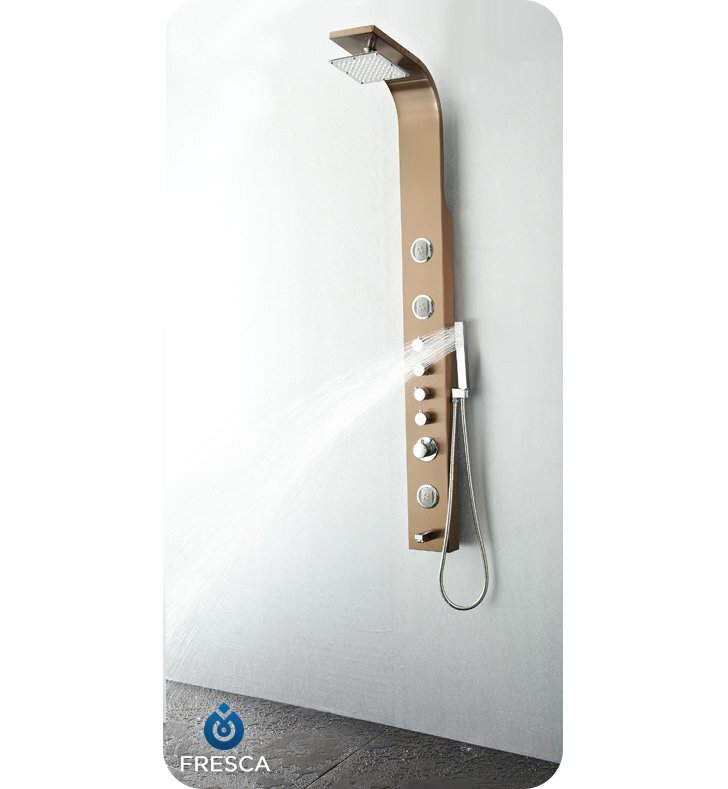 Let your cares wash away with the Fresca Geona shower massage panel, model # FSP8009BB. 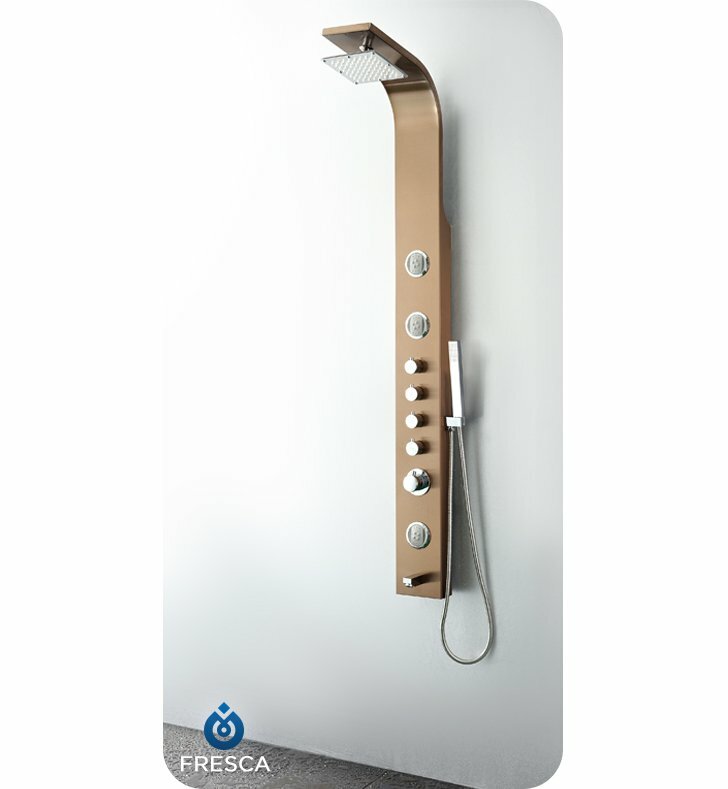 Crafted from durable stainless steel with a classic brushed bronze finish, this H 63" x W 6" x D 16.25" thermostatic shower massage panel has a sleek, contemporary design. 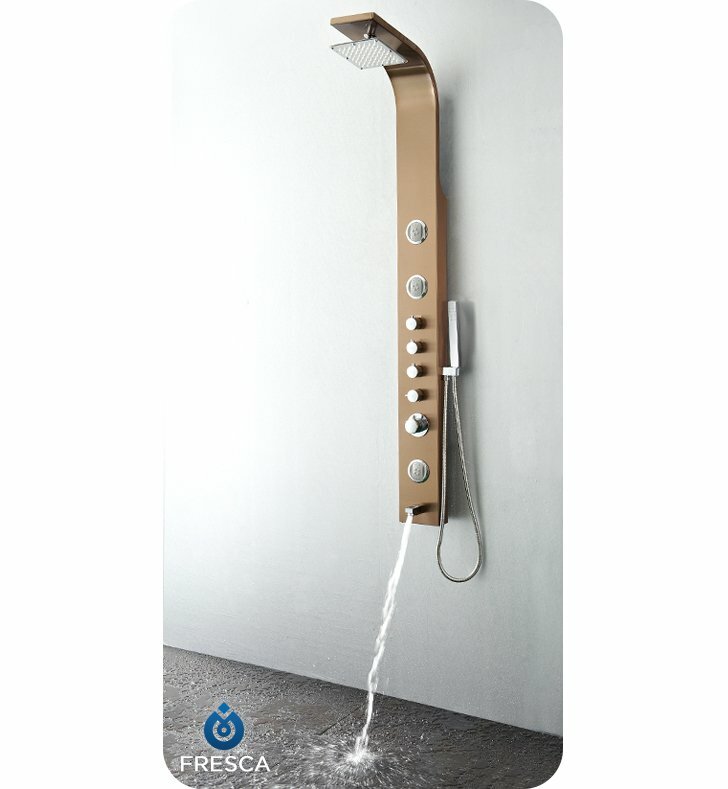 A wide brass-top shower creates a soothing rainfall effect, while three two-way massaging jets help relax muscles. 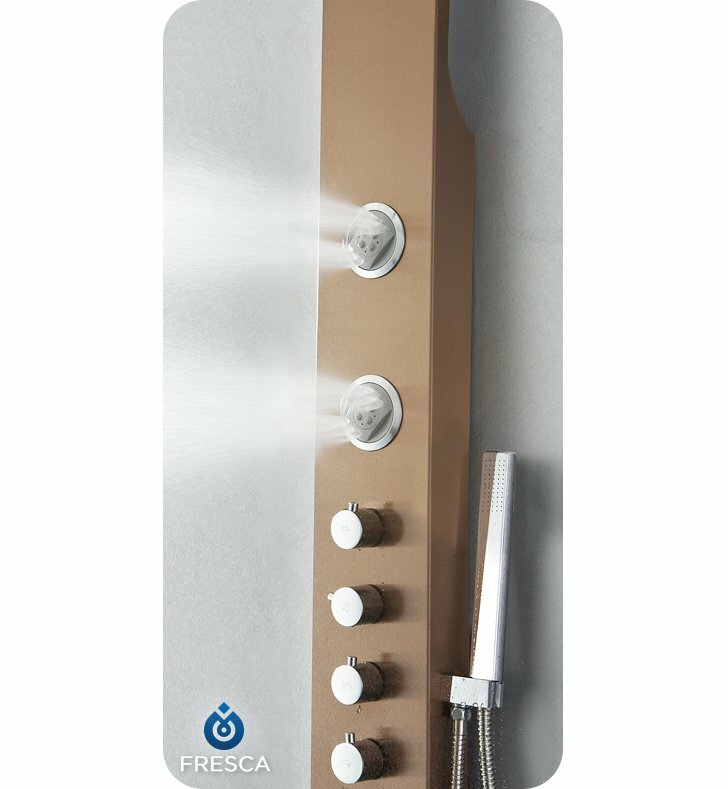 The shower panel also comes with a handheld spray attachment and tub-filling spigot. Four knobs give you control of each feature's flow and settings. 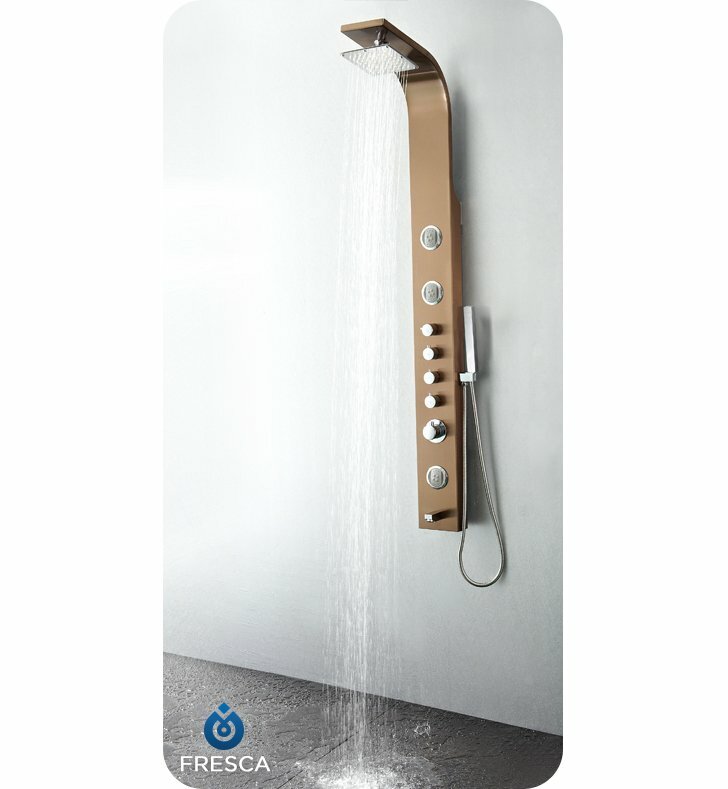 Dimensions: H 63" x W 6" x D 16 1/4"
This shower panel is better than expected. We did a bathroom remodel at our ski condo and put this in. I was worried about only having a 40 gallon hot water heater. We have used it for two months now and it is wonderful. 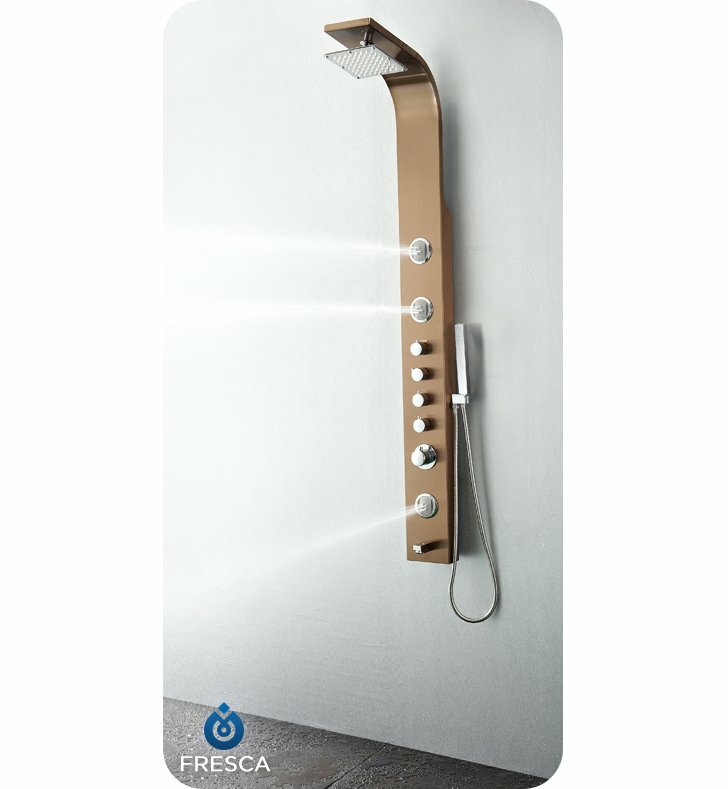 Very good quality for this product type and price range. It gives our bathroom a nice added luxury feel. Very easy to install. I wouldn't call them negatives but I haven't yet found the best approach to clean the stainless steel surface and a few streaks will likely continue to show. Also, it doesn't come with a surface for placing eg shaving items on. But then again, we knew this when we ordered and will install something else for that (a narrow slate plate will do just fine).All in all extremely happy with this purchase.